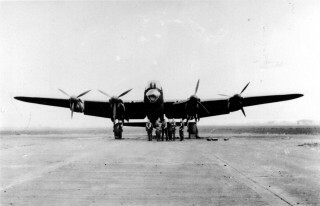 A No 207 Squadron Lancaster and crew on the runway at Bottesford. Commemorative flag hoisted at Bottesford in May, 1995. 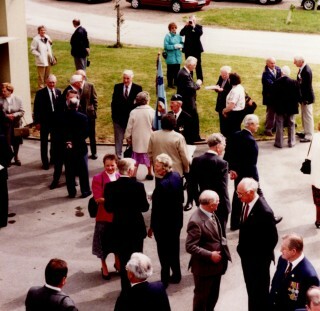 Airforce veterans at the 50th Anniversary celebration of VE Day, Bottesford, 1995. Bottesford airfield control tower restored and used as offices. Hangars still in use, for industrial storage. Bottesford RAF Air Station, built in farmland crossing the Leicestershire-Lincolnshire boundary close to Normanton, opened in 1941 and was at that time the only heavy bomber station in Leicestershire. Thereafter, operational squadrons based at Bottesford took part in some of the most difficult bomber raids of the Second World War. 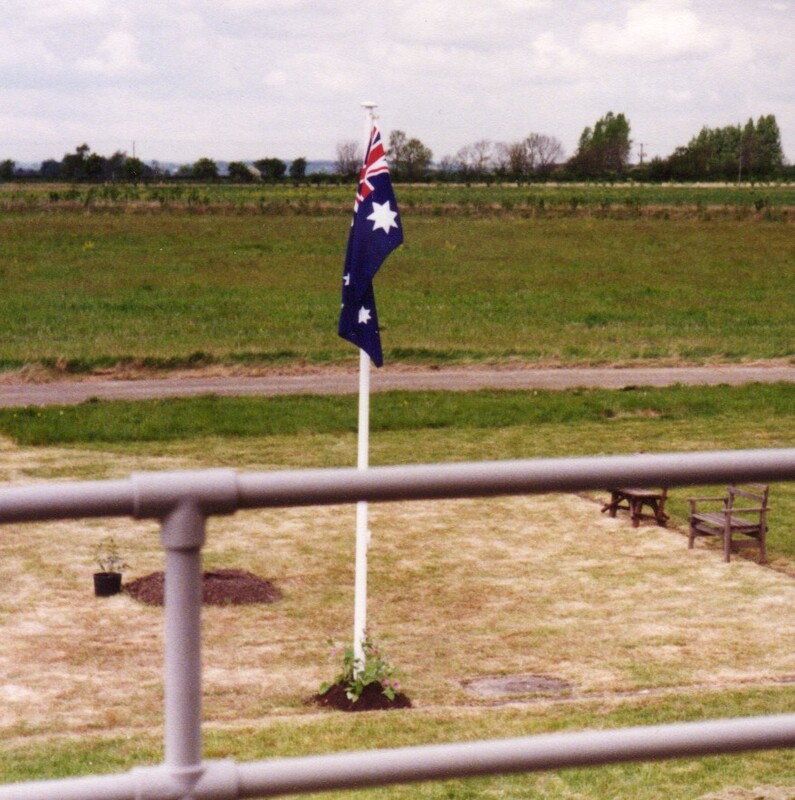 Airmen from Commonwealth countries and the USA used this base for training and bombing activities before it was eventually closed to flying in June 1947. The base, which proved very muddy in wet weather, could accommodate nearly 2,400 airmen and 460 airwomen. 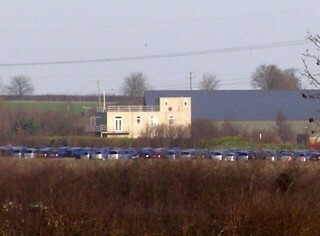 The technical and living quarters were on the north eastern side of the airfield, in Lincolnshire, near to Long Bennington. Some of the cold wooden huts let in the rain. Personnel were issued with bicycles as the facilities were well spread out, but these soon became clogged with mud on wet winter days. At the same time, mock airfields (known as Q sites) were constructed to decoy raiders from attacking the base at Bottesford. These sites, at Foston, Belvoir, and Tithby, were never attacked by the Luftwaffe, who it is believed used their decoy lighting as navigation aids. They were closed in 1942. A mobile beacon was used at Bottesford to flash the letters AQ in morse to guide homeward bound planes returning from night raids. The airfield opened on the 10th of September, 1941, and a Vickers Wellington bomber on a training flight was the first aircraft to land soon after. No 207 Squadron, with a proud history going back beyond April 1st, 1918, was the first operational squadron to use Bottesford. They were equipped with the Avro Manchester twin-engined bomber – a photograph of one of these planes is in the BLHS archive. Another unit, equipped with the Airspeed Oxford arrived in October 1941 to train pilots in Beam Approach flying, and remained at Bottesford until 1944. The Manchester bombers, armed with ten 500 pound bombs, participated in daylight raids on the docks at the French port of Lorient, and in raids on industrial targets in Germany. The battleships in harbour at Brest were another target together with mine laying sorties (known as “gardening”) off the Dutch coast. This aeroplane was, however, prone to a variety of hydraulic and engine problems which sometimes reduced its flying ceiling, and caused many crews to abort their missions. One flyer is reputed to have taken his overcoat with him on missions in case he became a POW! Accidents and forced landings were a feature of life at RAF Bottesford. On one occasion a Manchester suffered engine failure at low level, then the other engine failed. The pilot attempted a forced landing on flat ground straight ahead but the rear fuselage and tail were ripped off on contact with the ground. The rest of the plane careered onwards at 100mph and came to rest in Fiskerton lake, much to the alarm of the anglers who were at the time conducting a peaceful fishing competition. Fortunately the crew of this aircraft escaped with only cuts and bruises, but one was badly concussed. Engineers often visited Bottesford to study the difficulties experienced with the Manchester. One aircraft was test flown for them with a simulated full bomb load. Surprisingly it easily attained 17,000 feet but the pilot then noticed that the engine cowlings were coming loose. The flying instruments showed no problem but the pilot decided to return to Bottesford, and on his approach saw one of the engines moving up and down on its mounts. Overheating had almost melted the mounts, but the plane landed before disaster struck. No 207 Squadron last used the Manchester in March 1942, and was re-equipped with the Avro Lancaster. Conversion training began in January, 1942, and by late April some crews were operational on the new aircraft. They formed part of the first “One thousand bomber raid” in May, 1942. The squadron now included many aircrew from Commonwealth countries, such as Canada, Australia and New Zealand. Night bombing operations continued with mounting losses and accidents. 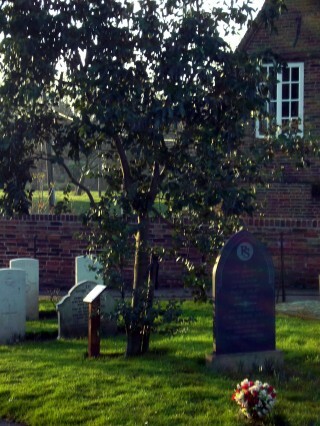 Some casualties were buried in St. Mary’s Churchyard at Bottesford. The runways were deteriorating, so in September, 1942, No 207 Squadron was transferred to Langar. 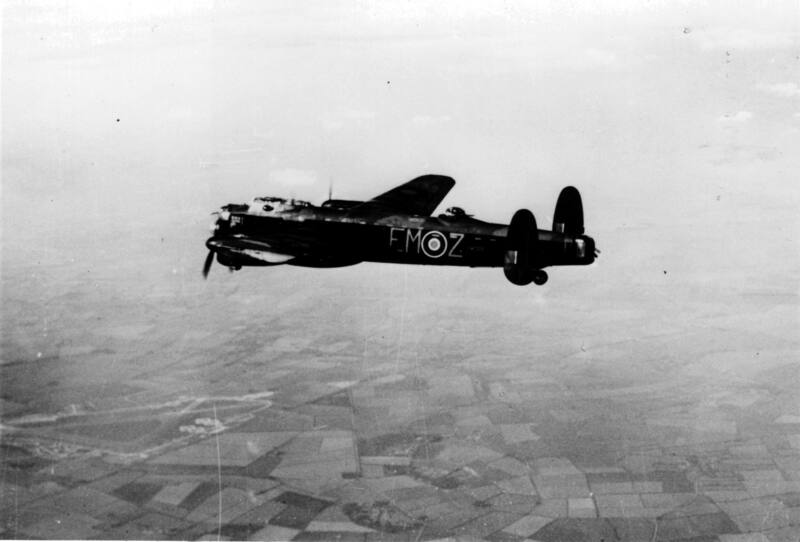 Then, after repairs were completed, No 90 Squadron arrived during November, flying the Short Stirling. The adjutant of this squadron was billeted with the village butcher in Bottesford High Street. Throughout the war the brave young men on operations were welcomed by individuals and families in Bottesford – some to worship at Chapel or Church and others just to sit quietly, read and relax. One flyer, Harry North, became a regular preacher at the Methodist Chapel. He asked a friend to take a service for him one day as he was assigned to operations, and unfortunately his plane failed to return from the raid. No 467 Squadron of the Royal Australian Air Force flying Lancasters also took up residence in November, 1942. No 90 Squadron transferred to Ridgewell in December, 1942, leaving the Australians to continue operations from Bottesford against industrial targets in Germany and U-Boat pens along the French coast. In 1943, No 467 Squadron took part in long range “shuttle” raids. The target might be the Italian port of La Spezia, or munitions factories on the shores of Lake Constance, but then the bombers would fly on to land in North Africa. They were able to attack other targets on their return trip to Bottesford, and bring back fruit, vegetables and wine bought locally before they took off. The American Air Force were considering the possibility of night time raids at this time. A number of B24 Liberators flew into Bottesford during the Spring as visitors and some American aircrew even flew on operations in the Lancasters. As 1943 progressed enemy night fighter patrols were increasing their abilities to attack bombers returning to their bases in England. No 467 Squadron was included in the attack on Peenemunde in August 1943. This target was on the Baltic coast near the Polish border where secret weapons such as the V2 rocket were being developed. A total of 596 aircraft took part in this raid, of which 40 were lost. The Australians from Bottesford were in the final wave of this attack by which time the night fighters had concentrated their numbers. No 467 Squadron was transferred from Bottesford to Waddington in November, 1943, after an intensive period of operations lasting a year and costing many lives from those of Wing Commanders to Sergeant Pilots. 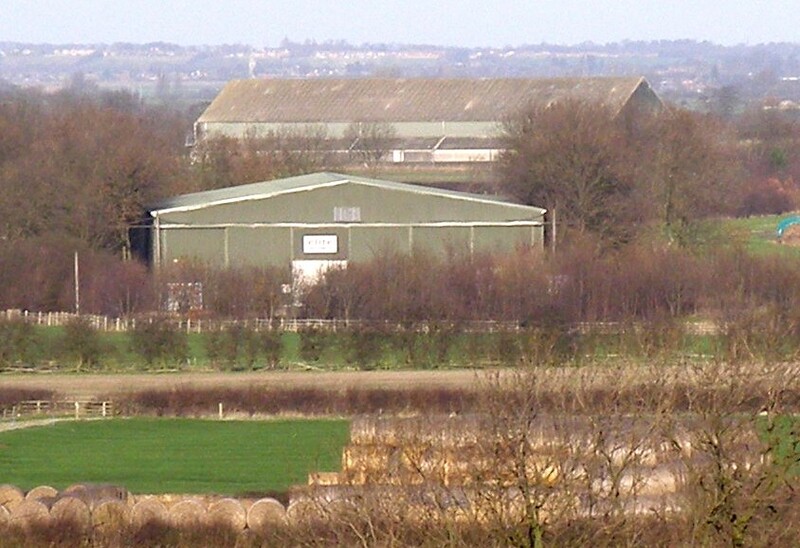 Earlier that year, Airspeed Horsa gliders had been stored at Bottesford. Allied air forces were now beginning to prepare to drop paratroops and supplies behind enemy lines, and to land troops from gliders as well. The 436th Troop Carrier Group (TCG) of the US 9th Air Force flew into Bottesford in January, 1944, with sixty Douglas C47 twin-engined transport planes, and sixty Waco assault gliders were delivered via Bottesford Railway Station to be assembled from their packing cases. One of these cases eventually became a cricket pavilion at Staunton Harold. The airfield was re-designated as Army Air Force Station 481 (or 480 – sources disagree). Considerable training took place to prepare these forces for transfer to southern England and the D Day invasion. As they left, more Americans moved in. The 400th TCG undertook training in formation flying, glider and parachute dropping techniques to prepare for “Operation Overlord”. The Americans also took the opportunity to explore the area by bicycle and made friends with folk in Bottesford. There is an unconfirmed story that the Stocks were “liberated” one night, but then miraculously returned a few days later! In July 1944, Bottesford was handed back to Bomber Command. The buildings were re-furbished – doors and floorboards had been burnt as winter fuel. The airfield was now ready to act as a bomber training base. Thirty six Lancasters of a “Heavy Conversion Unit” flew in to train crews for this type of aircraft. It was the first unit to prepare pilots on Lancasters alone for all their ” heavy” training, which reduced the training period by two months. The planes comprised examples of many different types of Lancaster, powered by variants of the Rolls Royce Merlin engine together with some powered by Bristol Hercules engines – the spares problems created by these various power plants were horrendous. Night flying, “circuits and bumps” and other training tasks contributed to a high accident rate. Fighter affiliation exercises brought Hawker Hurricanes to Bottesford, and later Supermarine Spitfires and Bristol Beaufighters. On the night of March 20th, 1945, a lone Junkers Ju88 raided the airfield, dropping several bombs in a low pass over the runways and buildings, and attempting to fire cannon shells into a train standing at Bottesford station, but with little success. In April 1945, Bottesford was downgraded to be a sub-station for training purposes. The last flying accident occurred at Bottesford on 13 July, 1945, when of all aircraft a Wellington on a night flying exercise suffered engine failure and was diverted to Bottesford. The second engine also failed as it approached the runway but all seven crew on board scrambled to safety before fire broke out in the wreckage. 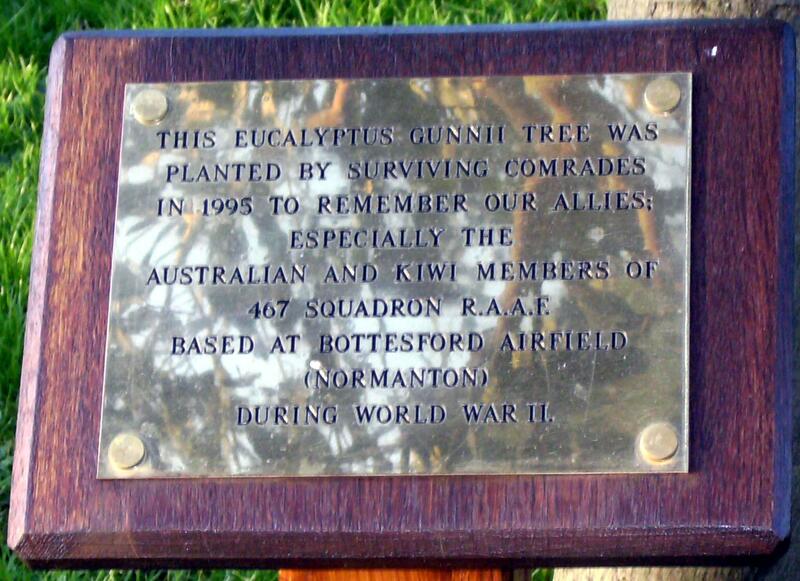 Once the war was over Bottesford became a relief landing ground, and was closed to flying in June 1947. 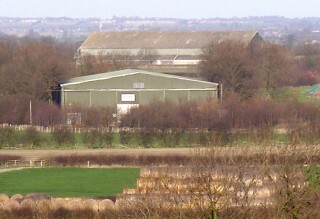 Equipment disposal and maintenance still continued and sites such as Bottesford were required for the storage of stacks of unused bombs and ammunition awaiting disposal. The site was finally closed down in March 1960. As a ‘tail-piece’, a function to commemorate the 50th Anniversary of the end of World War II in Europe was held in Bottesford on May 9th, 1995. Bottesford Parish Council entertained a large group of visiting Australian airmen from No 467 Squadron. Over 150 attended the Village Hall for refreshments and an illustrated talk by Vincent Holyoak. 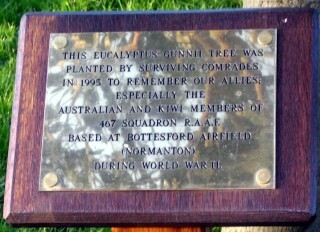 The party later toured the airfield site and a memorial tree was planted near the Control Tower. 1. “Leicester and Rutland Airfields in the Second World War” by Martyn Chorlton. 2. “On the Wings of the Morning” by Vincent Holyoak. (Vincent Holyoak has kindly given permission for the republishing of his book on this website. Please click on the title to access). 3. “Action Stations – Military Airfields of Lincolnshire and the East Midlands” by Bruce Barrymore Halpenny. This page was added on 17/07/2007. When I was a young girl in the late 1960s/early 70s I would often talk to Ernie Robinson who owned the farm at the approach to Normanton from Bottesford. Ernie told me opposite his farm yard in the field across the road was a large area of concrete, this was where one of the anti aircraft guns was situated that was used to protect the air field and it was women that fired them. Thank you for your interest and your interesting reminiscence concerning Ernie Robinson’s recollections. My father Flt Sgt John McKee flew from Bottesford in Lancaster ED529 taking off at 17-55 0n the 19th February 1943. He went missing without trace when two aircraft did not return from the five that went on the mission to Wilhelmshaven. My mother was at the time pregnant and I was born in June 1943. My fathers last request to my mother was to name the child if a boy John Lancaster after the Lancaster Bomber which he said would evetually win us the war. Hence my name John Lancaster McKee I have been trying to see if any photos of him were ever taken at RAF Bottesford but to no avail, perhaps someone can help. Thank you for taking the time to add this information about your father and his wishes concerning your name. We will pass on your query to Vince Holyoak to see if there are any possible leads concerning a photograph in his research material on Bottesford Airfield. His book on Bottesford Airfield is reprinted on this site. Gildner flew a Messerschmitt 110 from Holland. These two victories were his 40th and 41st at night, but they were ironically his last, because as you’ll see from the links he was killed himself just four days later. I believe that in the winter of 1943 our time was the same as European Standard Time (meaning that the times given by the RAF and Luftwaffe records are comparable). That being the case, and given that the trip to Wilhelmshaven that night took other 467 squadron crews 5-6.5 hours, I’m not sure whether the aircraft shot down near Vlieland were on their outward or return journeys (although if I had to guess, I’d say probably outward bound). They were described as flying at altitudes of 1100 metres and 1000 metres respectively (if I’ve understood the Luftwaffe records correctly), which is fairly low. Anyway, I hope that this is of interest. My apologies for not being able to help with photos, but if you have any of your father or his crew, I would be very pleased to see a scanned version.